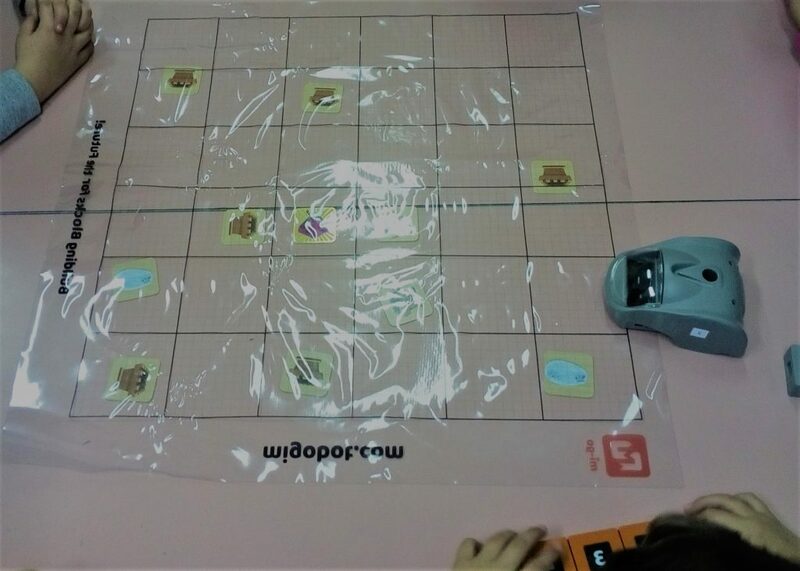 Ilze Brice is leading the TangIn pilot test phase at Valmiera Pargauja primary school, in Latvia, and believes that through to use of tangible programming concepts and tools, their students will change their mind-sets and adopt more collaborative attitudes. The TangIn pilot test phase in Latvia is being held at the Valmiera Pargauja primary school and started mid-March, lasting until the end of April. The testing phase aims to test as many as possible the resources available for teachers, enabling the use of exercises and activities of tangible programming in the classes. The school community is very committed with the TangIn and with the experience of using tangible programming. A total of 14 teachers are involved and will use the exercises and activities in their classes, from the 1st to the 6th level, reaching more than 330 students. The Latvian teachers will test the introductory lesson plans and have selected to test different thematic lessons covering different STEM-based subjects. However greater focus is given to the ones related to mathematic, natural sciences and arts. For more information and details related to the pilot experience in Latvia, you can contact Mrs. Ilze Brice (ilze.brice@vps.edu.lv), responsible for the implementation of the activities in the Latvian school. If you wish to learn more about the project, consult the project website (www.tangin.eu) or the Facebook us at https://www.facebook.com/tanginproject.